For the true wine lover, the Connoisseur Wine Club features a full case of some of the best wines from around the world. Our Connoisseur Wine Club inlcudes premium wine rated at 90 or above by some of the world's most respected and renowned wine critics. 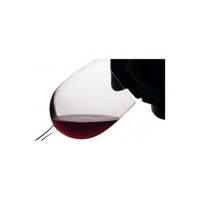 The Connoisseur Wine Club is for wine enthusiasts who demand only the best. The wines are chosen based on their character, flavor and aging potential. These wines are sure to be among the best wines in your cellar. Twelve bottles will arrive each quarter to your door, as well as tasting notes, information about the wineries, food pairing suggestions, and discounts on select items. These wines will be drinkable when they arrive to you, but they can also benefit from further cellaring to achieve higher complexity. For questions regarding any of our wine clubs please contact us. For all our wine club shipments initial orders are shipped within 2 business days after your order is placed, then every month or quarter there after if you choose to continue with our wine club.